A loan of $500 helped to buy fertilizer, manure, insecticide, herbicide, etc. to improve her land. 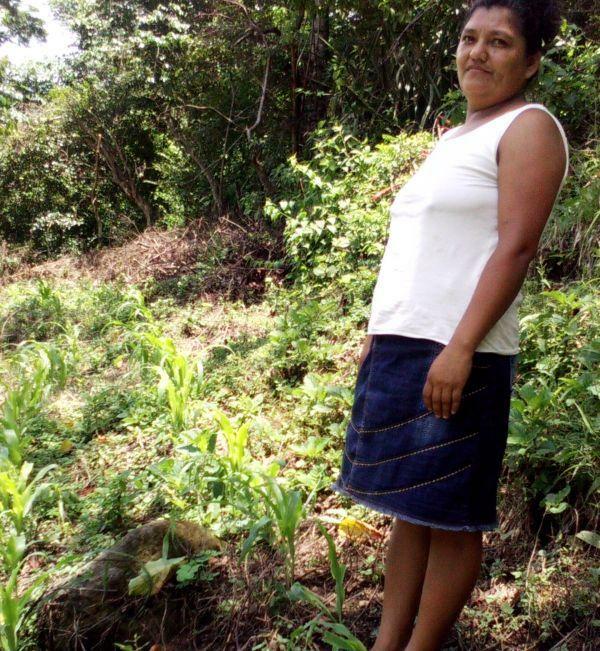 Evelin is 37 years old and lives in her own home with her husband and three children. She has been growing corn for 8 years and sells her product in different markets near her home. Evelin is seeking a loan to buy fertilizer, manure, insecticide, pesticide, etc. so she can improve her land to plant her crops. Her land is pictured in the photograph. In this way she will be able to continue farming, which is her only source of work. Translated from Spanish by Kiva volunteer Cindy Kendall. View original language description. Evelin de 37 años de edad vive en casa propia con su esposo y sus tres hijos, ella se dedica desde hace 8 años al cultivo de maiz, comercializa sus productos en los diferentes mercados que se encuentran cerca de su casa, Evelin esta solicitando un crédito para la compra de fertilizantes, abonos, controles de plagas, herbicidas, etc. y poder mejorar el terreno para hacer su siembra que es el que muestra la fotografía y asi poder continuar con sus siembras ya que esa es su única fuente de trabajo. This loan is part of Apoyo Integral's program to help subsistence farmers located in high-risk regions of El Salvador, including coastal strips, river banks, and volcano fault lines. The program, which offers reduced interest rates, targets farmers who don't qualify for formal funding due to their low-income and geographical risk. By funding this loan, you are helping Apoyo and a local non-governmental organization extend risk-tolerant credit to even more farmers. Apoyo Integral (Apoyo) is a nonprofit organization offering financial products that enable clients to increase their working capital, purchase fixed assets, buy and remodel homes, expand agricultural business and more. The organization’s target group is businessmen and women who have already established their businesses but need financial support to strengthen or expand them. Like Kiva, Apoyo is committed to empowering women involved in business activities in rural areas. Kiva lenders’ funds will be used to expand these services to an even greater number of poor clients in rural areas. Like Kiva, Apoyo is committed to empowering women involved in business activities in rural areas. In addition, it creates opportunities for unbanked people by offering them a variety of products that enable them to build their businesses and create job placements. Kiva lenders’ funds will be used to expand these services to an even greater number of poor clients in rural areas.